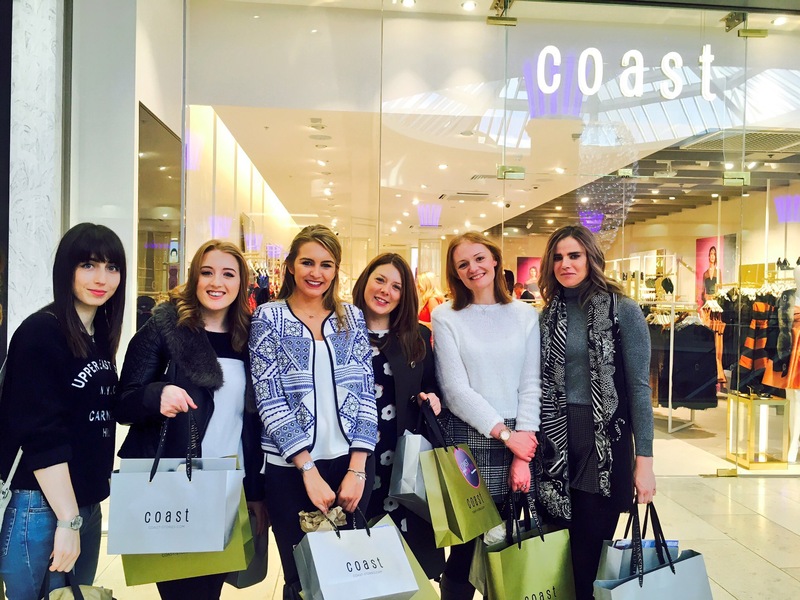 Fashion retailer Coast made a return to the North East this weekend with its first stand alone store in over two years. Nestled in the Platinum Mall of Intu Metrocentre, the brand new concept store held a Bloggers Breakfast on Saturday and I went along to check out the latest from the occasion wear masters…. If you know fashion then you’ll be familiar with Coast. For a long time Coast was the refuge of middle-aged women looking for wedding guest attire, but not any more. Gone are the dowdy shapes of yesteryear and in their place, fresh new styles in every vivid jewel tone imaginable. With a focus on quality and individuality the latest collection incorporates hand painted flowers which have been spun onto flat weave silks, heavy crepe dresses with underskirts and showstopping metallic stripes. The introduction of fashionista Olivia Palermo as a Seasonal Sartorial Stylist has helped propel Coast back to the forefront of high street fashion and as part of a £2 million expansion plan, the roll out of several concept stores across the U.K. has followed. “Coast definitely brings something unique to the high street: they believe that dressing up is fun and I can certainly relate to this, teaming up with them for the Autumn Winter collection was a really enjoyable experience.” Olivia Palermo. In the North East we’ve been starved of a Coast standalone store for some time now and as one of my favourite high street retailers, news of the concept store is music to my ears. The brand new Coast concept store at Intu Metrocentre is a welcome addition to the Platinum Mall, with a simple set up and soft lighting, the non-fussy store allows the product to do the talking. The launch is part of the brand’s strategy to launch stores in key cities across the UK with the aim of capturing a larger share of the occasionwear market and it’s been well planned; the results of research commissioned by Coast showed that 86% of occasionwear shoppers buy a new outfit to wear to an occasion, spending an average of £100 on a dress or separates. “Despite facing ongoing financial pressures, our customers are determined to continue looking great for a special occasion. We’re proud to be responding to this demand with a unique store environment and service experience that turns shopping into an occasion in itself.” Margaret McDonald, Managing Director of Coast. The store has been planned with the shopper in mind, from the flow of the floor (clothing – accessories – shoes – Lifestyle – outerwear), to the awesome dressing rooms which take up almost as much floor space as the shopping area; it’s a shoppers paradise and the Sales Staff are the icing on the cake. With hours ploughed into staff training to ensure that staff are familiar with the product, the Sales Team at Coast Intu Metrocentre are friendly, knowledgable and helpful – a big plus, and the downfall of so many other high street retailers. We were treated to a phenomenal Carluccio’s breakfast of yoghurt topped with granola, French pastries and prosecco followed by a private viewing of the Fall / Winter collection which we cooed over and tried on in our droves. I couldn’t leave without topping up my occasion wear collection with a beautiful full skirt from the Limited Edition collection, featuring gorgeous hand painted red and orange flowers with a double wrap front (nobody else on the high street does a full skirt like Coast, they’ve got that on lock). It’s beauts Voyeurs, but don’t take my word for it, feast your eyes on this…. That skirt is SO you! Love it. I loved watching you ladies shop across social media – almost felt as if I was there myself. I adore Katie Jane and Sarah’s dresses too. KJO looks like a Princess and Sarah like a v classy lady who means business! I can’t wait to see what everyone else has selected too. I know what you mean about Coast being a ‘safe’ option for wedding attire in the past but it seems a lot more edgier now. I like it! Will definitely pop in this weekend when we are braving the Metrocentre to have a nosey.